Usually, when members of the audience fall asleep during a play, it means the show was pretty boring, but at the Barbican Theater, in London, it’s considered a success. 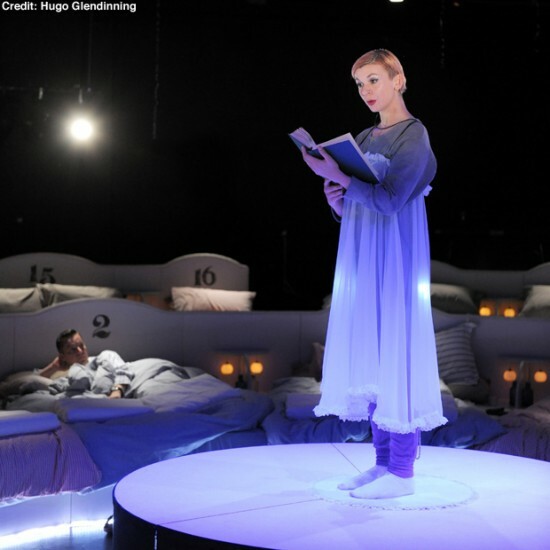 Most plays are designed to excite and entertain spectators, but the Barbican’s “Lullaby” was conceived for a totally different purpose – it aims to put you to sleep long before the final act. Guests are asked to arrive at 10:00 pm sharp, and bring their pajamas and toothbrushes, as they’ll be spending the night in one of the beds crammed inside the theater’s hall. Single, double and triple beds are available, so you can enjoy the show by yourself or share the bed with someone you know. Once spectators have put on their pajamas and taken their place in the pre-booked beds, lights are dimmed and the show is off to a slow, gentle start. 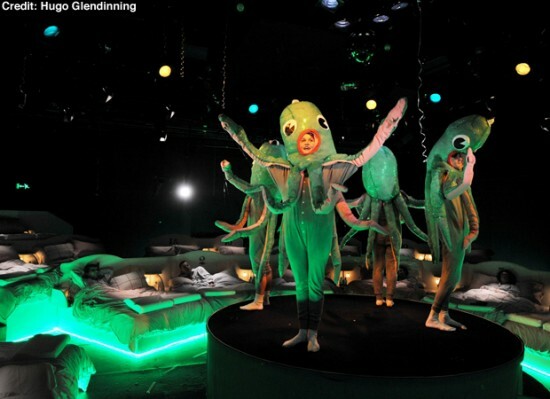 It combines singing and storytelling designed to send you off to dreamland before proceedings come to an end, around 1 am. Instead of applause, actors are rewarded with occasional snores, as they take a bow before their sleeping audience, but that just means they did a good job. When lights are turned on, at 7:30 in the morning, spectators are treated to a classic English breakfast, to send them on their way. Lullaby producer, Simon Casson, says he has fallen asleep watching shows like The Lord of the Rings and Oliver, so he got the idea to create a show specifically designed to send its audience to sleep. Mission accomplished!